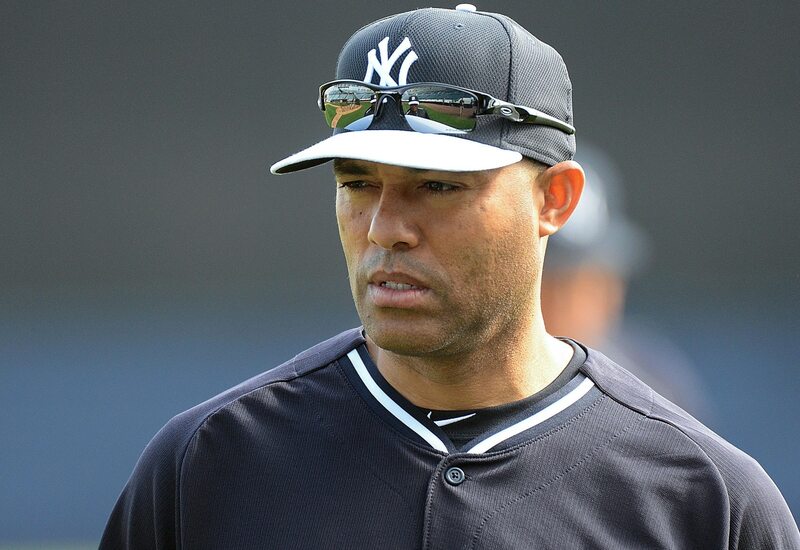 We’ve known for many years that Mariano Rivera was going to the Hall of Fame on the first ballot. That became official on Tuesday. The longtime New York Yankees closer was not only inducted, but inducted unanimously. That had never happened before. Now, this isn’t going to get Rivera a bigger plaque than Ken Griffey Jr., Tom Seaver, Nolan Ryan, Cal Ripken Jr., or even anyone who’s ever been voted in with the 75 percent minimum. Should he choose to use them, Rivera will have some serious bragging rights over his fellow enshrinees. But beyond that, it doesn’t really mean anything tangible for the Sandman. For the voters and the Hall of Fame itself, it’s a different story. This is a step toward the Hall of Fame gaining some credibility that it has lacked for so long. And this is the case for a number of reasons. The first has been a consistent issue among at least some voters for decades. We’ve long seen that at least some of the voters have an issue voting for someone in his first year of eligibility. It’s why the unanimous vote has never happened. It’s hard to imagine anyone who ever watched them play would say that Griffey, Seaver, Ryan, and Ripken (not to mention Willie Mays, Hank Aaron, Ted Williams, etc.) truly doesn’t belong in the Hall of Fame. The only decent excuse for that is that a voter doesn’t want to waste his vote on someone who’ll obviously get in. Since getting in with 75 percent of the vote is as good as getting in with 100 percent, why not use one of the 10 votes on a worthy fringe candidate and let everyone else vote for the slam dunk? That makes some sense, but is obviously flawed. If enough people do that, then the slam dunk misses out. It’s nice to see that logic die out. In the past, we’ve heard voters say that they won’t vote for a player who played in the “Steroid Era.” Given that Rivera never had anything close a tie to PEDs, keeping him off of the ballot because of the era he played in would have been unconscionable. Truthfully, baseball turned a blind eye during so much of that era. Despite that, Bud Selig — the commissioner for much of that era — was rewarded with a spot in Cooperstown. With that in mind, it’s hard enough to justify keeping great players who were linked to PEDs (ie: Barry Bonds, Roger Clemens, Mark McGwire) out. Keeping clean players out because of guilt by association? That’s ridiculous. If anyone kept Griffey off of their ballots because of his era, they should be ashamed of themselves. It would be akin to punishing someone for robbing a bank just because a family member once did so. That they didn’t make that same mistake with Rivera is a huge step in the right direction. It must continue in future years. The third and final reason that Rivera’s unanimous induction is so surprising is his position. Rivera is only the eighth relief pitcher to be voted into the Hall of Fame. He joins Hoyt Wilhelm, Rollie Fingers, Dennis Eckersley, Bruce Sutter, Rich “Goose” Gossage, Trevor Hoffman, and Lee Smith, who was previously voted into the Class of 2019 by the Today’s Game Committee. Prior to Rivera, Eckersley was the only first ballot inductee. Voters have clearly been slow to warm to this position. That’s even truer with the one-inning closers like Eckersley, Hoffman, and Rivera. Hoffman should have easily been in on the first ballot. Others, like Billy Wagner, should probably be in already but have never even come that close on the ballot. Rivera getting in unanimously could mean that some of that bias is going away. If someone had told me in 2010 that by the end of the decade we’d have a unanimous Hall of Fame inductee, I likely would not have believed that person. If I had to guess one person to receive that honor, it would have been Griffey, Greg Maddux, or Derek Jeter. The first two roadblocks would have been the same for them. But at least they played positions that have long been deemed Hall of Fame worthy. Griffey and Maddux should have been unanimous. The same can be said for many who came before them. But we can’t un-ring those bells. Jeter could well be unanimous when he comes up next year. But it’s great that we didn’t have to wait that long to see this happen. Rivera was always going to make the Hall of Fame. But his unanimous vote shows that maybe some of the old way of Hall of Fame voting has gone the way of the dinosaur. That, quite frankly, could not have happened soon enough.